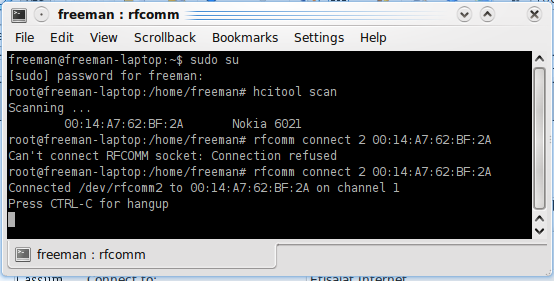 I am sorry the title looks clumsily long, but that is to show that I am going to very much explain how you can access the internet using dial up on a Linux OS through an application called KPPP. I assume that you already have the application installed, if you don't have you can view my previous post on installing software in Linux. Don't mind the entries in the login ID and password, in this tutorial I will create a new account. Click on the configuration button below, a pop up dialog box will come up as show below. Click on the new button at the middle right side, a popup box like the one shown below. Enter the name you want to give this connection. Click on Add button, put *99# as the phone number. Leave the other settings at the default. 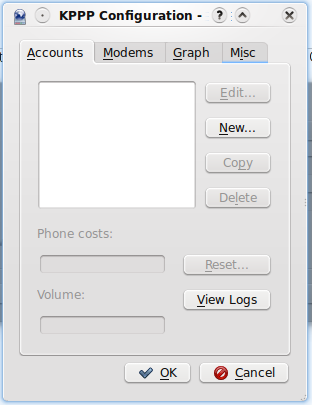 Click on Modems right beside Accounts on the top menu bar, click on new. 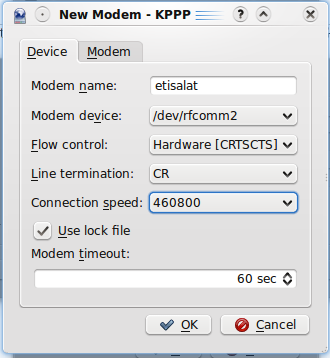 In the new dialogue box shown below, enter the access point name as the modem name, enter the port of the phone connection and leave the other settings as they are. 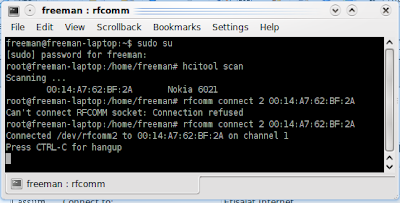 Make sure you specify /dev/rfcomm2 in the Modem device setting, actually you can use rfcomm1 or rfcomm3 just by replacing the 2 in “rfcomm connect 2” with the appropriate number. 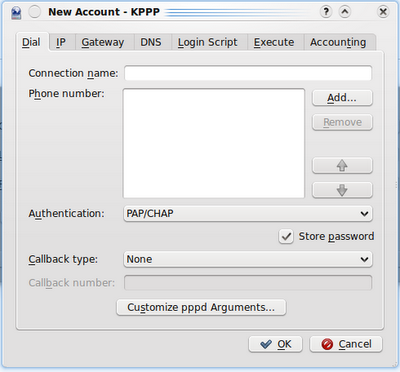 Now go back to the kppp, and after saving the settings by selecting ok, in the main kppp dialogue box enter the login ID or username and password. 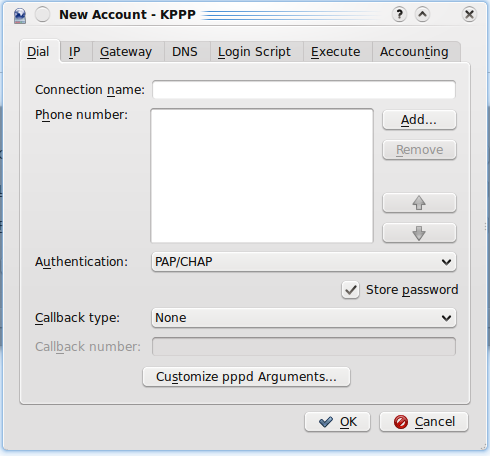 If your connection doesn't need one just put “wap” for both, kppp will not connect without them since you will be connecting using PAP (Don't worry about understanding, just do it and you'll be alright). Click on connect and you will be prompted to enter Bluetooth passkey, then the connection will be made.